JET8 is powered by authentic user-generated content, allowing anyone to become a paid micro-influencer by earning from their social influence. Tell us about your role and journey into technology. How was Jet8 conceived? I’ve always been excited by the blending of design, creativity, and technology. In the 90s, I created innovative websites for the fashion industry in Brazil, but having grown up in a country with such disparity between the rich and poor — I wanted to apply my passions to something more worthwhile. Seeing the lack of opportunities in Brazil (and other countries I’ve worked in over the years), inspired me to find a way to use design and technology to empower people and make a difference. What differentiates JET8 from the rest in the Influencer technology landscape? The Influencer Marketing landscape is set up so that it benefits only the most successful influencers, based on massive numbers of followers — regardless of whether these followers are genuine or not. These influencers are often paid fixed sums for insincere and often undisclosed product placement. JET8, on the other hand, is powered by authentic user-generated content, allowing anyone to become a paid micro-influencer by earning from their social influence. Any of our Decentralized Engagement Networks (DENapps) will allow anyone, anywhere in the world, to share branded content with stickers and frames, which earns them JETS — JET8’s in-app social currency. JETS allow users around the world to redeem products online or over-the-counter through 15,000 retail stores including 7-Eleven in the Philippines, Circle K in Indonesia, Shop&Go in Vietnam or Shoprite and Checkers in South Africa, besides many others. JET8 enables an influencer ecosystem that builds communities of value. 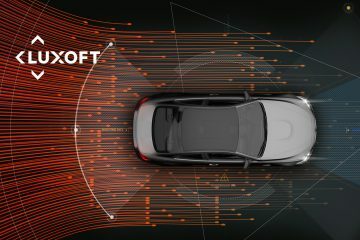 In a JET8 community, the user is completely in charge of which brands they support, of their post creation, and also the sharing of their data. JET8’s system is democratic, accessible, and rewarding for everyone — not just major influencers. What is the idea of “Democratizing Influence”? How do you achieve that in a highly competitive market? We democratize influence by shifting the power from big market players and enabling everyday users to earn and benefit from their content. 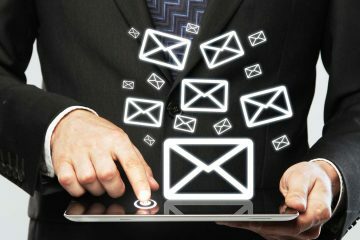 Our apps are also optimized for low-bandwidth usage and are user-friendly. With JET8, anyone who posts creative, engaging content can become a paid influencer. Most importantly, user data is fully controlled by the user him/herself. If a brand would like to gain access to any user’s personal data, it would have to bid for it through the system and if the user agrees to the price offered, data is transferred with full security using a smart contract to release the information. 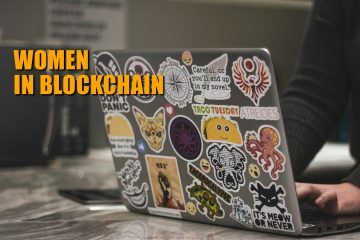 Could you elaborate on the potential of decentralized engagement networks in Social Media Marketing and how it changes the future of the Social Media industry? Social media has been dominated by monolithic companies that control and own all the activity taking place on their platforms. Users provide value to the platforms in the form of content, but they are bombarded with unwanted advertising, and experience breaches in data privacy. These platforms monetize on users’ personal data, creative output, and social influence, while users earn nothing. Social Media Marketing has been functioning within this disempowering dynamic. Decentralized engagement networks allow for a more equal distribution of value. Social media will continue to be based on relationships, but they can now travel even further, outside of the boundaries defined by individual platforms. Users won’t be held captive to advertising, they’ll be able to choose when and how they interact with brands. This will encourage more authentic relationships with fans and followers, which is a good thing because it means that brands aren’t wasting their money — they’re interacting with an audience they’re already assured want to hear from and engage with. Why peer-to-peer influence is the next big thing in marketing, and why brands prefer organic influencers to paid advertorials? The public has become too savvy for traditional celebrity-style endorsements or advertisements, and research shows they trust their peers more than anyone. Social media is the most powerful tool if harnessed correctly, and genuine supporters offer brands the means to streamline their efforts and communicate with the people that matter the most. Organic engagement is the most valuable marketing tool a brand can have in today’s world and JET8 is the perfect tool for that. It is a revolutionary platform backed with over 4 years of R&D in order to build a tool that truly represents a fair game, arms-length, social media-based relationships that is beneficial for both users and brands. 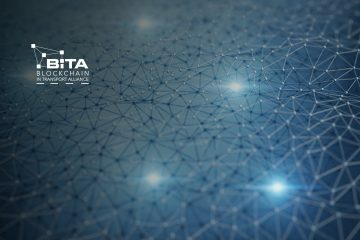 How does decentralization occur and what is its impact across all industries? 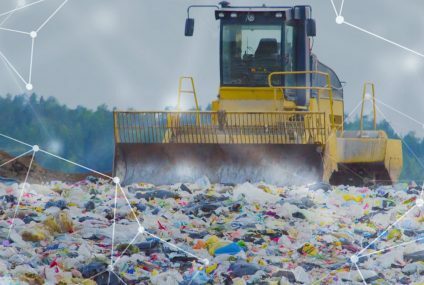 Decentralization, in the case of JET8, not only occurs because of the use of blockchain for recording transactions. It occurs when a piece of content — a selfie, photo or video — which is created has a trusted origin and a record of ownership. In a centralized model, all created content is automatically gifted to the platform in which it is created. On top of that, these platforms are also monetizing push, targeted ads, which are being seen only because the content is created. When we decentralize this model, there is no more need to keep taking value out of content creators — instead, we empower them. The economy they can build is far more interesting and larger than any centralized model can sustain. When using JET8’s technology for DENapps, anyone can create an app in which content creation, exchange of value, buying or selling goods, or any other transaction can be truly based on equal grounds on both sides. This can impact how e-commerce evolves, how small communities can help each other via transfer of value, how services are rendered and the whole flow of digital discovery. It can even impact how products and people are searched and how the first interaction between two parties or more can take place. It’s a huge shift in the digital paradigm because internet business has been built on a brick-and-mortar model transferred to the digital world, and very few businesses have been built from truly digital originated relationships. JET8 is one of them. Tell us more about your outing at DEN Summit. What topics were discussed at length? What can we look forward to next year? DEN Summit was created to highlight the evolving shapes of communities — how they form, grow, and interact with new technologies as the years go by. Last Thursday, an impressive line-up of world-class speakers and industry thought leaders touched on the social impact of technology and communities in today’s society across multiple sectors including business, art and culture. Keynote presentation topics included Tech Power for Introverts from two-time Olympic Gold medalist and humanitarian, Angela Hucles; Helps and Hinderances in Creating Communities from cognitive anthropologist and author, Dr. Robert Deutsch; Gender Equality, at the Touch of a Button from brand architect Senta Slingerland; A Global Social Gastronomic Movement Fostered by Local Communities by chef and Gastromotiva founder, David Hertz; and Social Networking Paleo-style: How Community and Communication Helped Us Survive the Ice Age by TED Senior Fellow and rock art researcher, Genevieve von Petzinger. The response from the first DENSummit has been truly overwhelming; what an amazing turnout! The knowledge and perspectives shared were so inspiring, and they highlighted the power of communities. With the valued support of our partners — the WWF, Wings for Life, Gastromotiva, Singapore Wellness Association, and HER Planet Earth — together with our clients, shareholders, and friends, we feel like we’ve come to a step closer to making social media more inclusive and rewarding for all. Next year’s DENSummit is already in the works, with more world-class speakers, innovators and thought-leaders, and a new venue that will take the event to the next level! Stay tuned for exciting reveals over the coming months. JET8 offers real-time analytics to brands using our own technology, and we are constantly measuring our own performance as well as theirs. What are your predictions on the most impactful disruptions in the way businesses leverage personal data? 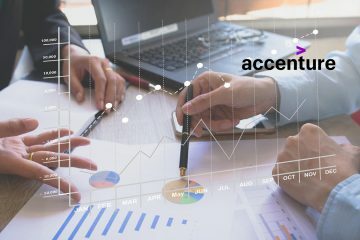 How do you cope with GDPR-related disruptions? I believe people have a better understanding of how their data is being used by businesses and they’re demanding much more transparency and control. 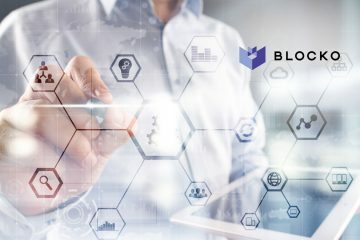 Through blockchain, we have the means to log data exchanges in a transparent and immutable way, and the most responsible and forward-thinking businesses I know are going in this direction. As the JET8 system already allows users to control their own data sharing, the GDPR didn’t cause us any disruptions. In this respect, we’ve been ahead of the curve. What does your roadmap for AI look like? I believe there are two things that will always set humans apart from Artificial Intelligence — creativity and individuality. 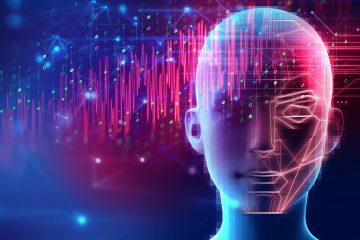 As a business leader, I prepare for an AI-centric world by building technology that rewards people for both. The other way to stay ahead of the curve is by meeting and learning from the brightest minds not only in technology, but also human psychology, sociology, and art — the backbone of culture and society. That’s what inspired DEN Summit. I think it’s crucial we all start talking about where we’re headed, so we can co-create the best future possible for everyone — a future of more focused in human technology. Lead by example, do everything necessary, share responsibilities and share the success. I can’t live without a pocket knife or any type of music player. Make every co-worker a partner. Try first before giving an opinion or judgment. I know how to commit to achievable goals, and I’m consistent with deadlines. Thank you, Victor! That was fun and hope to see you back on AiThority soon. 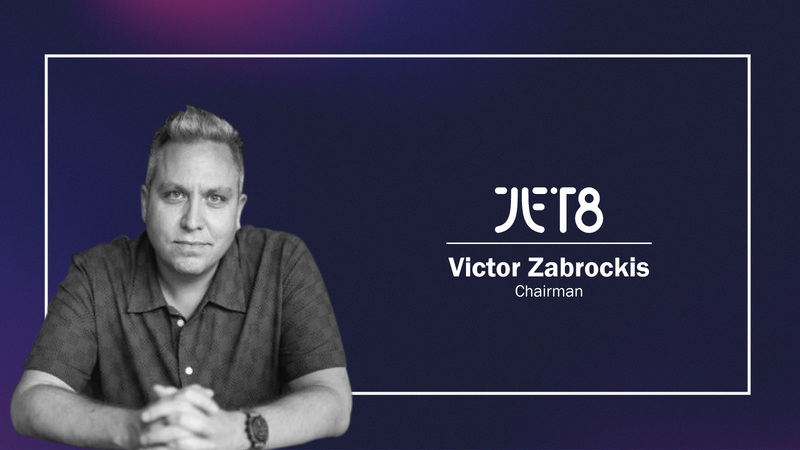 As a vanguard of app design, system architecture, UI and UX, JET8 Foundation Chairman Victor Zabrockis has been crafting digital experiences for over 20 years. Founding businesses from Brazil to Southeast Asia, Victor has pioneered new web-based technologies, creative branding, and user experiences that have revolutionised the marketing and advertising industries. In 2005, Victor founded Creative HotHouse, dedicated to crafting digital branding for advertising agencies. CHH acted as a catalyst for Victor’s desire to create positive social impact through technological innovation. 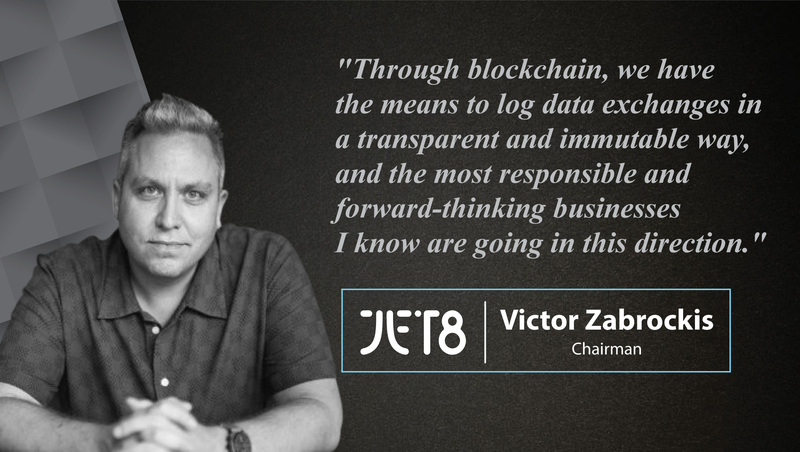 Drawn together by this ambition, co-founders Mike Allen and Joshua Thomson joined Victor in the creation of JET8 — the world’s first tokenised social media ecosystem. Since 2014, JET8 has grown into a global network of brands, agencies, apps and retail partners — all driven by micro-influence, fuelled by JET8’s own social currency and built upon user-friendly social media technology. 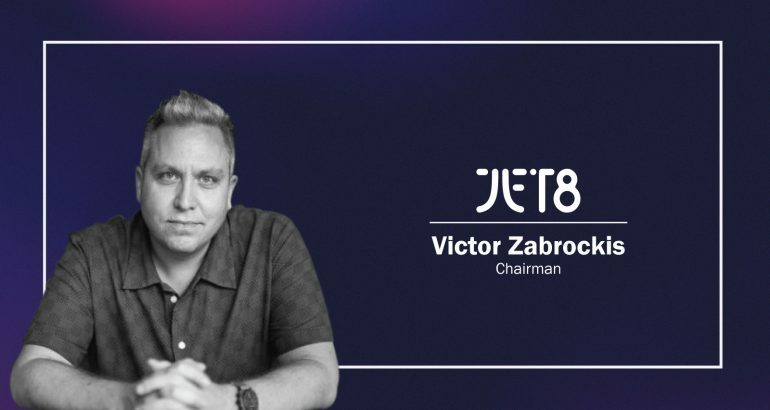 As Chairman of the JET8 Foundation, Victor is now dedicated to advocating decentralised engagement networks as a means for building bridges of communication and understanding between communities for a more connected world. 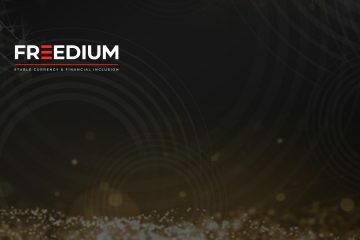 With a focus on research and development, the JET8 Foundation is a non-profit, technology company that supports the global adoption of decentralized engagement networks together with mobile engagement platform, JET8. 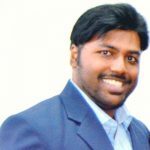 The JET8 Foundation was founded in 2018 and is based in Singapore.